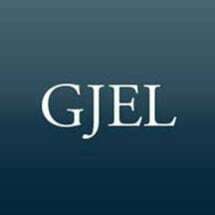 Founded over thirty years ago, GJEL Accident Attorneys specializes in the representation of injured persons, and those who have lost loved ones due to the fault of others. We represent those who have been injured by automobile accidents, defective pharmaceutical drugs and medical devices, construction accidents, and other accidents. We also specialize in handling claims of workplace sexual harassment. With offices in the San Francisco Bay Area, and working with associated counsel throughout California and the United States, we represent injured persons, as well as victims of sexual harassment in the workplace, in both state and federal courts. Our experienced injury lawyers want to help you if you have been injured (or lost a loved one) in an accident, or due to a defective product or harmful prescription drug. You can consult us for free. In fact, we're paid only if, and when, we win your claim and you collect; and we advance all the costs and expenses necessary to prepare our cases, none of which you pay if you do not collect on your claim. We have obtained verdicts and settlements for our clients exceeding $200 million in the past ten years alone. Just recently our firm was appointed by a California Superior Court to the Plaintiffs' Executive Committee overseeing the Sulzer hip implant litigation. Our firm played a prominent role in finalizing the $1.05 Billion national settlement of those cases. $6.546 million to a teenager seriously injured in a solo car roll-over on a dangerous road. $90 million for infringement of intellectual property. $6.975 million for billboard worker permanently injured from a fall due to faulty decking. $12 million for a case involving breach of a license agreement. $3.25 million for two children burned when smoke detector failed. $19.5 million for Trade Secret violation. We are a consumer and client friendly law firm that has been representing individuals with injury and accident cases, insurance claims and sexual harassment claims, for over thirty years. There is never a fee for an initial consultation and we do not require payment of fees in advance. We operate strictly on a contingency fee basis, which means you pay us a percentage of what we collect for you at the end of the case. The firm has recovered two hundred million dollars in damages for its clients in contingent fee cases in the last ten years alone. We limit our practice to fields in which we have particular expertise and experience - injury and accident cases, insurance claims and sexual harassment claims. We also strive to make the handling of your case as straightforward and convenient as possible. In that regard we have branch offices all over the Bay Area. If you have a case you think we can help you with, contact us. If we can assist you, we will represent you for a percentage of what we recover. There will be no advance fee, or payment of costs of any kind, required; if there is no recovery in your case, you owe us nothing. If you have a case we cannot help you with, we will do our best to refer you to the appropriate person or source of help. For free answers to your questions about accidents, injuries, defective products or pharmaceuticals, just call us at (800) 840-2111.